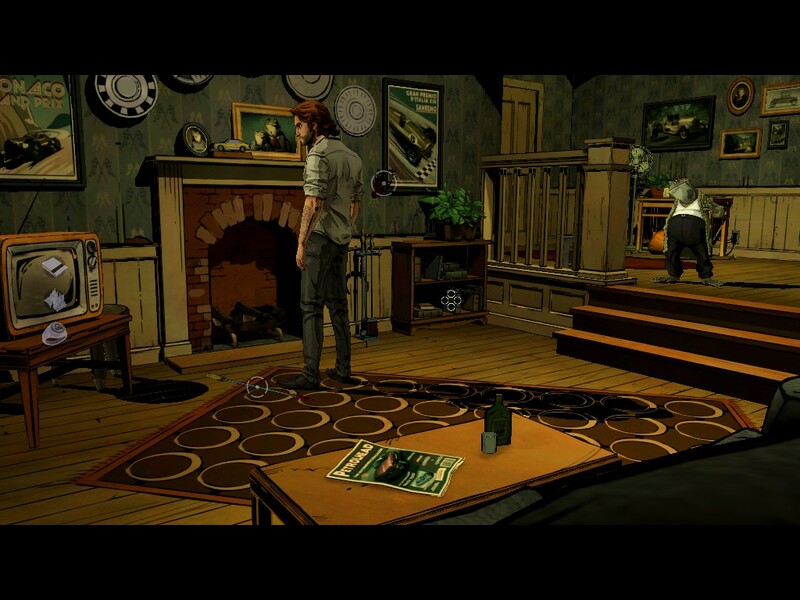 Telltale Games have a lot to prove going in to The Wolf Among Us. Following the huge success of the wonderful and heartbreaking The Walking Dead, the question on everyone’s lips has been ‘Can they do it again?’. A fair question, given how much that game seemingly stands above and apart from their 8 years of previous titles. Clearly they’re confident – between The Wolf Among Us, The Walking Dead Season 2 and the recently announced Tales From The Borderlands and Game of Thrones, Telltale has more games in development, and is expanding faster, than ever before. The Wolf Among Us – Episode 1 is the first of their new crop to be released – it’s easy to see it as the mission statement of their new era. It’s a huge amount of pressure for one game to bear. Ok, time to defuse the tension – it’s absolutely bloody brilliant. It’s some of the best work they’ve done yet. The Walking Dead wasn’t a fluke success – it was only the beginning. 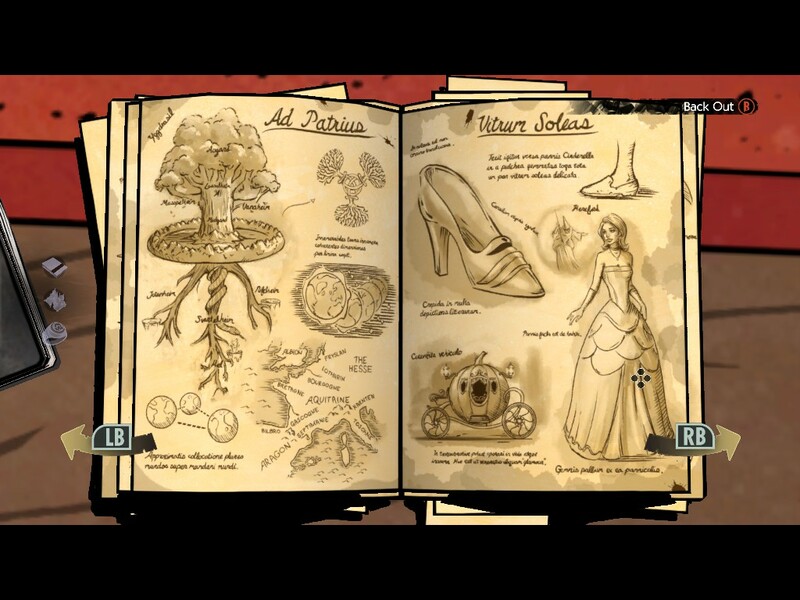 For those unfamiliar with Telltale, I should explain – their games are structured essentially like tv series. Each consists of 5 episodes, one released usually every couple of months. It’s a novel set-up that works well, allowing the games to explore lots of different narrative threads without getting schizophrenic, and giving the player room to breathe between story beats. This initial installment of The Wolf Among Us is easily their strongest first episode yet, effortlessly introducing the world, characters and story. 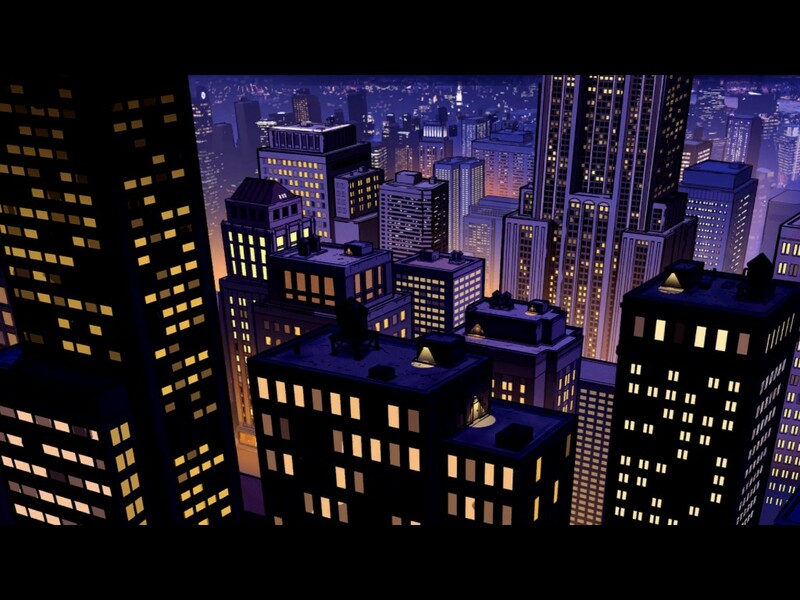 The setting, as with all of their games, is not an original one – it comes from a series of comics called Fables. Fables follows the trials and tribulations of a group of exiled fairytale characters, cast out of their realm and living secretly in ours – specifically in an area of New York that they call ‘Fabletown’. It’s a dark take on classic archetypes, often contrasting the fantastical nature of the cast with harsh reality – Beauty and the Beast have ongoing marital problems, Prince Charming is a destitute womaniser, Old King Cole is a complacent and oblivious politician, etc. The Wolf Among Us serves as a prequel to the comics, and sees you playing ‘Bigby’ Wolf, formerly the monster that ate Red Riding Hood’s grandmother and blew down houses, now confined to grizzled human form and working as the sheriff of the secret community. He’s a sort of werewolf PI, and very much a character in the mould of the classic Philip Marlowe detective stories – he’s not the strongest, or the smartest, or the most charming, but he’s tough as nails and doggedly persistent (no pun intended). The game begins with you investigating a domestic disturbance, but quickly you’re drawn into a complex murder-mystery. This first episode is really only the set-up, but it does a fantastic job of hooking you in with its twists and turns, and its strange cast of characters. The pace is well-judged throughout – when clue-gathering starts to lose momentum, it’ll shift gear quickly into a tense action scene, then come down from that with a quiet bit of character interaction, and so on, keeping you always engaged with the investigation. Most crucially of all, the mystery is genuinely interesting, written with enough wit and deviousness to have you eager to find the answers for their own sake, not just to move on to the next section of the game. The writing needs to be good too, because the gameplay is more stripped down than ever. Largely gone are even the minor puzzles of The Walking Dead, itself a heavily streamlined incarnation of Telltale’s earlier, more traditional adventure games; The Wolf Among Us really is an interactive story more than anything else. You choose dialogue options, you make decisions, and you do quick-time-events, and that’s essentially it – the actual mechanics are more slick than ever before, with combat scenes especially much improved over the occaisional clunky gunplay of The Walking Dead, but anyone looking for challenge or complex systems to master is going to be disappointed. The story and the characters are the focus here. Some will scoff and accuse The Wolf Among Us of not being a video game at all, much as they have done with David Cage’s (rather lamentable) back catalogue, but trust me when I say the game is better off. 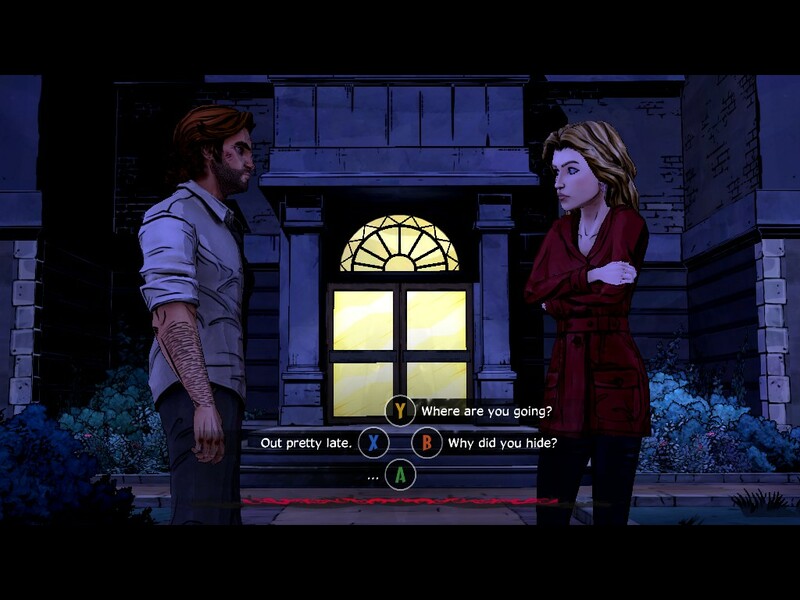 Freed from many of the constraints of ‘normal’ gaming, and able to push their resources towards the things they really care about, Telltale are telling some of the best stories in video games today. 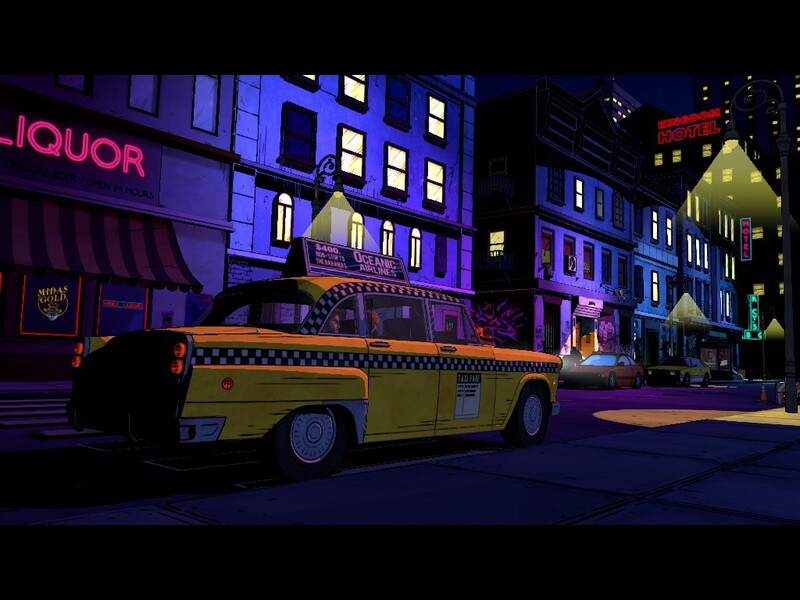 The Wolf Among Us is also easily the best looking game the studio has released so far. Their established cell-shading style works here in service of an 80s neon-grime aesthetic, with the lurid colouring of a Silver Age comic book. It feels like it extrapolates from the original Fables comics, rather than simply copying them, and in doing so it really finds its own space. It’s complimented by a soundtrack that’s equal parts haunting ambience and harsh synth. The overall effect is reminiscent of Drive, and that film’s video game heir Hotline Miami, and really sells the neo-Noir tone of the story. The voice-acting is perhaps a little less strong than it could be, for a game so reliant on its characters. Don’t get me wrong – it’s good (and Lord knows it’s leagues ahead of the average game’s wooden performances, much as they are in general improving), but at times it feels a little generic, like the passion of the performers isn’t matching the passion of the writers. Bigby’s voice especially is notably serviceable without being at all stand-out, which is a shame given he’s the main character of such a wordy game. It’s a little on-the-nose too that he sounds like such a Steve Blum-alike, given Bigby’s resemblance to a certain hairy, beclawed superhero. Overall, it feels like it might be time to bring in some heavy hitters, budget permitting – I can’t help but feel that the likes of Jennifer Hale, Troy Baker and Mark Hamil would be a huge boon to something like this. For those (few) players who have read the Fables comics, the game does suffer a little from its status as a prequel – certain events are robbed somewhat of their tension by foreknowledge of what will come after, and I found it hard to make myself forget which characters are bound by the plot to survive, and thus essentially immune to danger. For what it’s worth, if you haven’t read the comics, I would suggest avoiding them in favour of playing this game with a clean slate (and, as with The Walking Dead, I actually think that Telltale’s adaptation is rather better than the original comic). Going in to The Wolf Among Us – Episode 1, I was worried that Telltale Games were getting too ambitious, growing too fast. Coming out of it, I’m filled with confidence, and boundless excitement for what comes next. 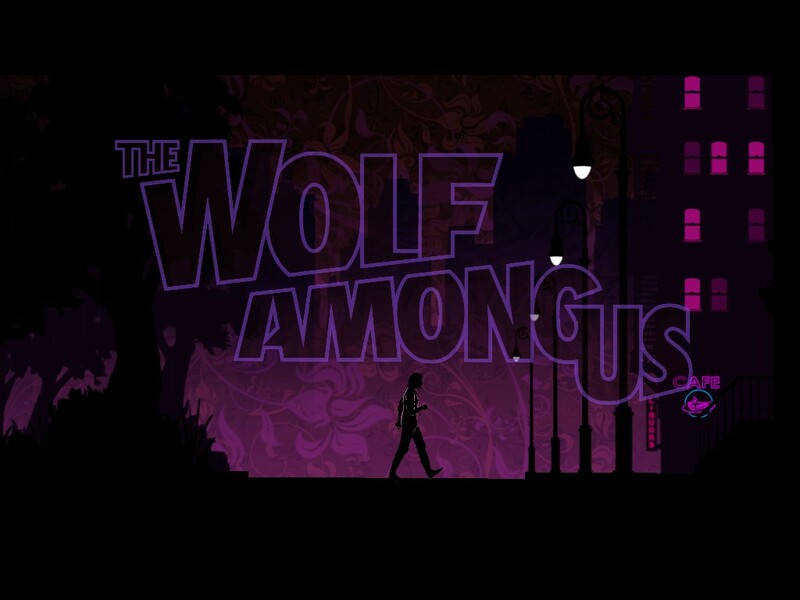 They’ve proved beyond reasonable doubt that they are not the one-hit-wonders some worried they’d be – The Wolf Among Us already feels like a worthy successor to and refinement of The Walking Dead, while at the same time striking out into a very different tone and style that demonstrates they’ve got more than just the one story to tell. I absolutely cannot wait for Episode 2.